Published: Nov. 5, 2018 at 11:12 p.m. Published: Sept. 23, 2018 at 04:14 p.m. Published: Nov. 12, 2017 at 02:30 p.m.
Tennessee Titans linebackers Brian Orakpo and Derrick Morgan team up to sack and force the fumble on Bengals QB Andy Dalton for the turnover. 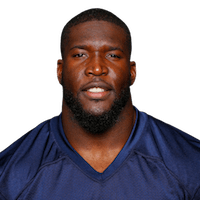 Published: Sept. 17, 2017 at 02:10 p.m.
Tennessee Titans linebacker Brian Orakpo forces a fumble after sacking Jacksonville Jaguars quarterback Blake Bortles in Week 2 of the 2017 NFL season.